Tibetan translator Christopher Stagg died in a car accident on October 1, 2018. In tribute, we are republishing this excerpt from his recent translation of The Hundred Thousand Songs of Milarepa, which was featured in the Winter 2017 issue of Buddhadharma. Milarepa (ca 1051–ca 1135), Tibet’s great singing yogi, is arguably the most renowned figure in Tibetan culture, the quintessential Tibetan folk hero. Milarepa committed grave crimes at an early age, then later had a radical change of heart. He sought out and followed a spiritual master, finally attaining the ultimate state of awakening within a single lifetime. Though Milarepa’s own practice tradition was the Kagyu lineage of Tibetan Buddhism, followers and practitioners of all the Buddhist lineages in Tibet reflect and meditate upon Milarepa’s life story and songs. Copies of Milarepa’s Life and Songs can be found in nearly every Tibetan-language or dharma library. 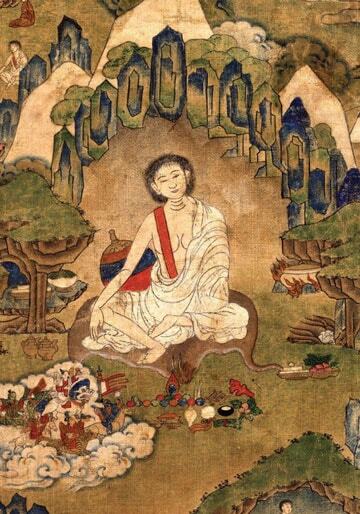 The version of Milarepa’s life story and songs most widely read today was compiled by Tsangnyön Heruka (1452–1507) approximately 350 years following the protagonist’s death. Tsangnyön composed the work in two parts intended to be read consecutively. The first is a shorter volume recounting the overall narrative of Milarepa’s life first published with the full title The Life of the Great Lord of Yogis, the Jetsun Milarepa, Demonstrating the Path of Liberation and Omniscience. It now has at least three widely circulated translations in English, the most recent two with the short title The Life of Milarepa. 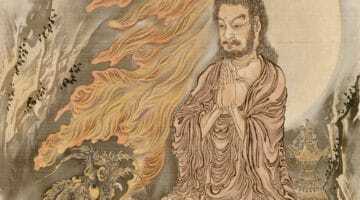 The second part of Tsangnyön’s work is much more extensive and primarily concerns Milarepa’s teachings and songs following his own attainment of realization. Originally titled The Collected Songs Expanding on the Life of the Jetsun Milarepa, this larger volume was published in English for the first time more than fifty years ago as The Hundred Thousand Songs of Milarepa by the great scholar and practitioner Garma C. C. Change (1920–1988). Although other translations of excerpts from the Songs are available, Chang’s work has been the only complete English translation to be published. While it is now well known that there are mistakes in Chang’s work, given his personal experience in Milarepa’s practice tradition and his command of both Tibetan and English, the translation he produced was a great contribution. The importance of Chang’s groundbreaking work cannot be overstated; it was foundational in the development of this new translation. 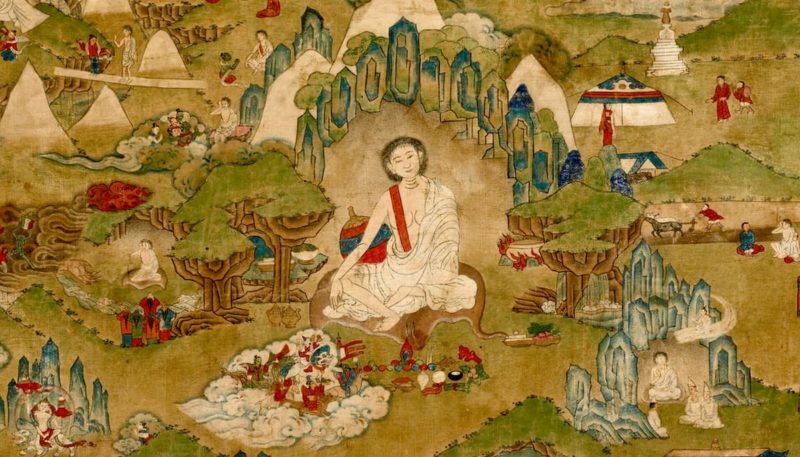 Students and practitioners of Milarepa’s tradition revere the Collected Songs not only for its primary narrative but also for the light it sheds on his teaching. Milarepa’s main mode of instruction is the singing of “songs of realization,” or dohas, a tradition brought to Tibet by the lineage of mahasiddhas, great unconventional realized masters of India. In this tradition, masters sing spontaneously from their own immediate experience about what they have realized directly, often giving instruction on how others may come to have the same understanding. In Milarepa’s particular style, colloquial, idiomatic language and commonplace examples are employed, making the teaching accessible and relatable for individuals who may not have engaged in any formal study of Buddhist philosophy. This direct experiential approach to teaching inevitably helps the students portrayed in the stories establish a connection with the teaching in a personal way. Once, while at Chonglung Garuda Fortress, dwelling in a state of luminous Mahamudra, the powerful lord of yogis, Jetsun Milarepa, rose to prepare his provisions and saw that not only was there no tsampa, salt, water, or seasonings, there was not even a bit of wood in the wood bin. There being no water or fire for the stove, Milarepa thought, “It seems my abandonment of provisions has become too intense. 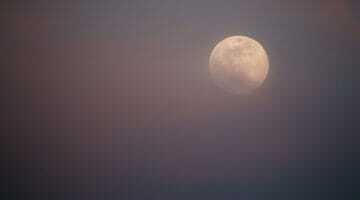 I’ll go out to gather some wood.” He then set out. He said out loud, “If you want my clothes, take them! Then, because of his lack of nourishment, he was overtaken by a wind-condition and fainted. When he came to, his garment was hanging at the top of a tree, waving in the breeze. A feeling of disillusionment overcame him, and he sat and meditated on the flat surface of a rock that was the size of a sheep. From the direction of Drowo Valley in the east, a white cloud began to appear. Milarepa thought, “Under that cloud is the hermitage of Drowo Valley. It is there that my guru, the translator Marpa Lotswana, lives.” Remembering how in the midst of his guru, his guru’s consort, and their retinue of vajra brothers, sisters, and friends, he had received the explanations of the tantras, abhishekas, and key instructions, he thought, “How nice it would be, if he’s there now, to go and meet him.” Where before he had felt disillusionment, powerful memories of his guru brought an immeasurable feeling of sadness. Then, on the point of a cloud stretched out like a banner of five-colored cloth sat Lord Marpa before him, riding on a white lion adorned with many ornaments, and appearing even more splendorous than when Milarepa had been with him in the past. “My son, Great Sorcerer, why have you called out to me with such anguish? Have you lost trust in the supreme jewels of the guru and yidam? Have you been chasing your thoughts—the objects of adverse conditions? Have the obstacles of the eight worldly concerns corrupted your retreat? Are the demons of hope and fear getting to you? “Above, have you offered service to the guru, the supreme jewel; below, have you shown generosity to the sentient beings of the six realms; in between, have you purified your own obscurations and negativity and given rise to excellent qualities? Have the conducive conditions for these not arisen? …With a lucid and happy mind, he took his robe and brought a handful of wood back to his retreat place. When he arrived at his hut, there were five iron-atsaras [demons] sitting with eyes agape, the size of saucers. One was sitting on the Jetsun’s bed teaching dharma, two of them were listening to him, one was preparing food, and one was engrossed in reading Milarepa’s texts. Here where this human stays all alone. Above, southern clouds whirl and swirl. Below, the river curves and twines. Between, the vultures float and drift. Myriads of plants are scattered about. Trees all dance relaxed and loose. Bees buzz with gentle hum. Melodious birds chirp and tweet. Birds and chicks train the skill of their wings. Monkeys and langurs train their skill. Deer and antelope train the skill of their feet. I, Milarepa, train in the skill of experience. I train in the skill of the two bodhichittas. I’m harmonious with the deities in this retreat. And then be off to your own lands! After he sang this, the atsaras, with hostile countenance toward Milarepa, looked at each other with angry glances. Then, two more atsaras came to join, bringing their number to seven. Some of them stood in front of him biting their lips with a wrathful expression. Some of them bared their fangs wrathfully. Several laughed and yelled with booming voice. Together, all of them swiped and stabbed in the air, attempting to intimidate Milarepa. Then he thought, “These spirits are making obstacles for me.” So, with a wrathful gaze, he recited powerful mantras, but they didn’t go anywhere. I am the son of the great snow lioness. In my mother’s womb, I perfected three powers. When I was a baby, I slept in my den. When I was a youth, I guarded its gates. As a full-grown lion I wander in snowy heights. I have no fear of stormy blizzards. I’m not afraid of steep rocky cliffs. I am the son of the garuda, king of birds. While inside the egg, I developed my wings. When I was a baby, I slept in the nest. A full-grown garuda, I fly in the sky. I have no fear of the sky’s expanse. I’m not afraid of narrow ravines. I am the son of the colossal whale. In my mother’s womb, my golden spots grew. When I was a youth, I led the school. A full-grown great fish, I roam the vast sea. I have no fear of the sea’s mighty waves. I’m not afraid of hooks or nets. I am a son of the Kagyu gurus. In my mother’s womb, I gave rise to faith. When I was a baby, I entered the gateway of dharma. When I was a youth, I put effort in study. An adult, I wander in mountain retreats. Though ghosts may be savage, I am not afraid. Though demons play many tricks, I am not afraid. When the lioness stands in the snow, her paws do not freeze. Her perfected three powers would be of little use. 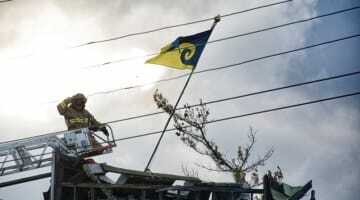 The flying garuda cannot fall from the sky. Its broad wingspan would be of little use. When the whale swims in water, it cannot drown. Being born in the water would be of little use. Iron boulders cannot be destroyed by stones. For smelting and refining, they would be of little use. I, Milarepa, have no fear of ghosts. Realizing the abiding nature would be of little use. How sublime it is that you’ve come at this time. Don’t hurry; relax and stay for a while. Let’s chat about everything under the sun. You’re hurried? Aw! You can stay just one night! And we’ll see the difference between virtue and nonvirtue. I won’t let you leave until you’ve made some obstacles. How ashamed and embarrassed to have come here you’ll be. After he sang this, Milarepa got up with confidence in his practice and charged in amongst the demons. The atsaras glanced, blinking, back and forth, in fear. The force of their quivering bodies made everything inside the cave shake slightly. Then, all of the atsaras swiftly dissolved into a single remaining one, and with one strong gust of wind, he too vanished. Then Milarepa thought, “The king of obstructing spirits, Bhinayaka, really gave it a go! The gust of wind that blew away my wood and clothes before was also his magical doing. But because of the guru’s compassion, he was not able to get to me.” Then his practice was enhanced beyond comprehension. From The Hundred Thousand Songs of Milarepa: A New Translation, by Tsangnyön Heruka, translated by Christopher Stagg. Shambhala Publications, 2017. Christopher Stagg was a Tibetan translator and interpreter for Nalandabodhi and the Nitartha Institute. He studied at Vajra Vidya Institute in Varanasi, India, and at Namo Buddha in Nepal. He translated The Hundred Thousand Songs of Milarepa (Shambhala, 2017) under the direction of Dzogchen Ponlop Rinpoche. He died in October, 2018.